I have the joy of being home every Monday with my highly energetic, 2 year old son. I find myself wondering quite often during the winter “how can I keep him busy today?” Since it’s too cold to take him to the playground or go for a walk, the answer to that question usually ends up being “take him swimming”. Thankfully, he loves the water and can spend hours in the pool! I hear a lot of parents say “we’re gonna take the winter off from swimming, I don’t want the kids catching a cold”, “it’s too much to get them out of the house”, or “it’s not like they’ll forget how to swim if we take a few months off”. As a parent & swim instructor, I disagree with those statements. I recently found a blog from Texas Swim Academy that gives three excellent counterpoints to those parents’ worries. Take a few minutes to read through their “3 Reasons to Keep Swimming this Winter”, especially #3. 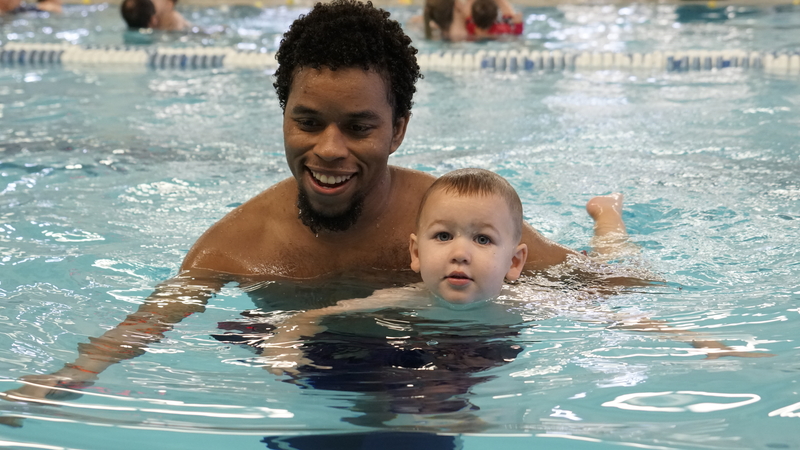 For more information on Dedham Heath’s swim program, visit our website, here. We look forward to seeing you around the pool!